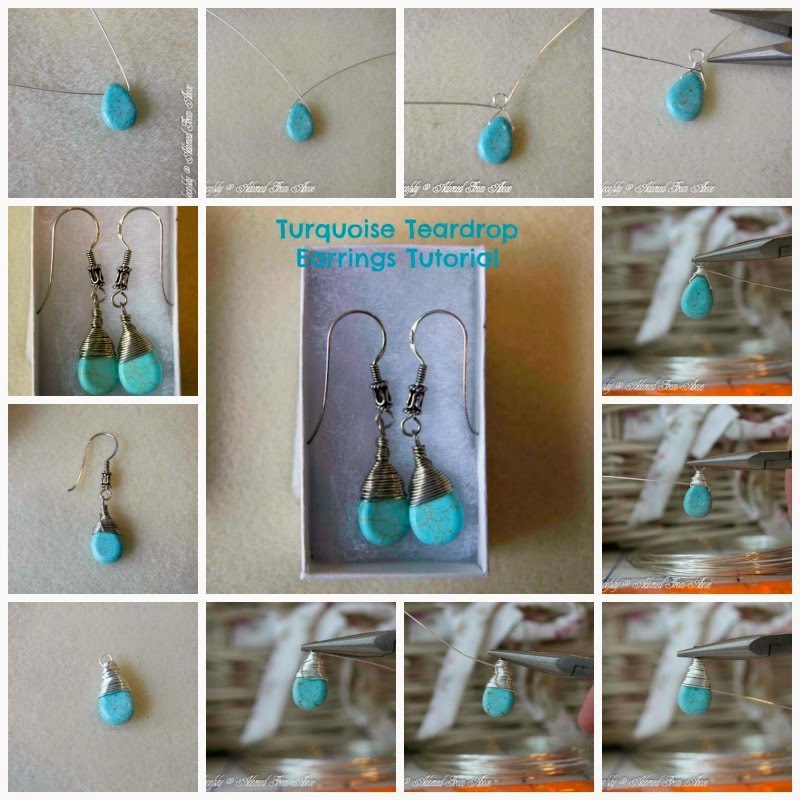 I love these Turquoise Teardrop Earrings that I made. 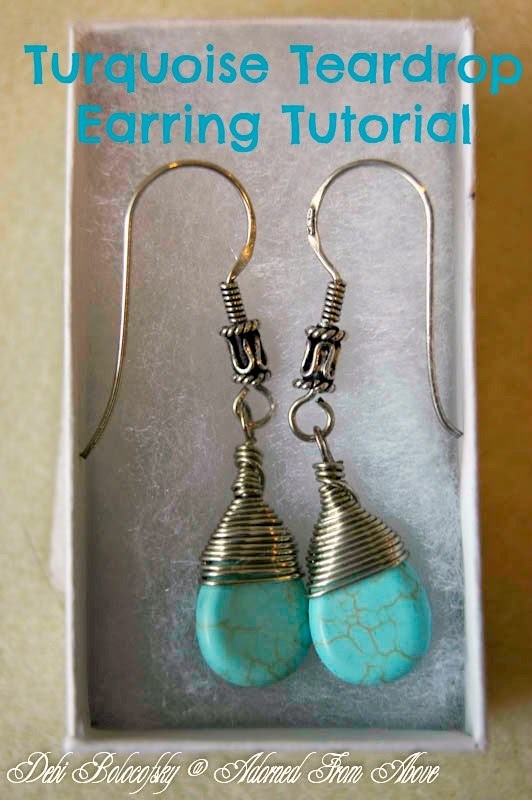 I learned how to make them in Craftsy's Wire Wrapped Jewelry Making Class. They are pretty simple to make, and so cute. I have been trying to figure out who to give them too. 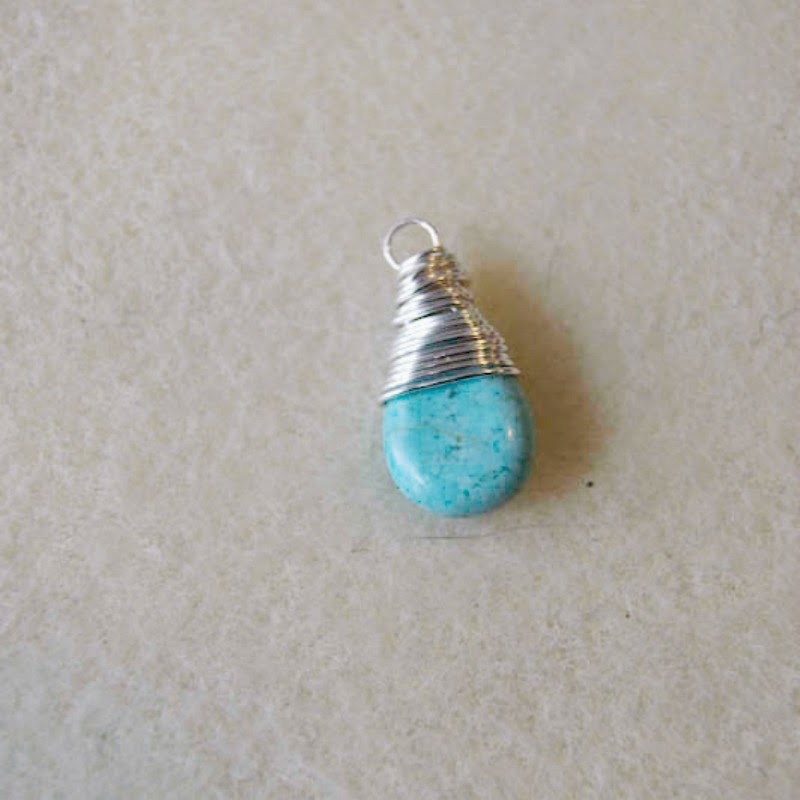 I also bought some other teardrop crystals that would be really cute also. So those will be in an upcoming tutorial. 1. 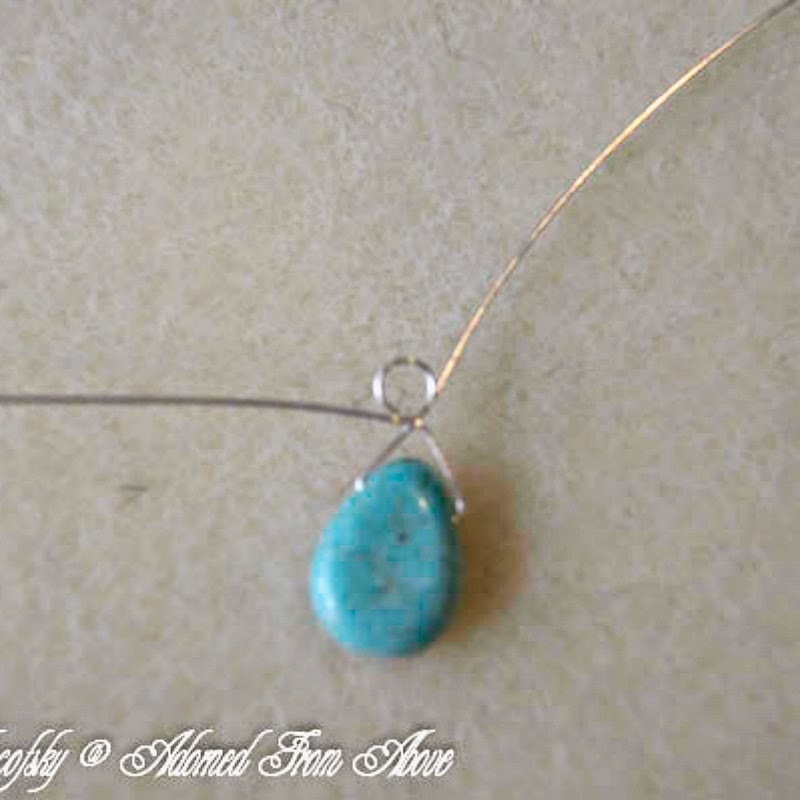 String your teardrop stone onto your 24 gauge wire about 4 inches from the end. 2. 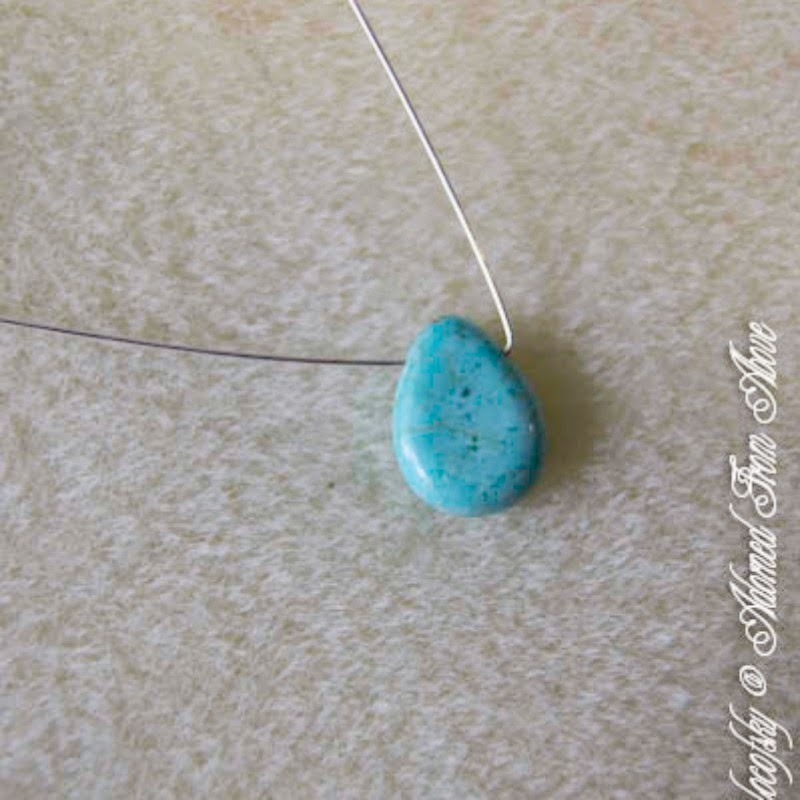 Using your finger and bend the wire towards the top of your stone at a 90 degree angle, towards the right top of the stone. It will be flush with the stone. 4. 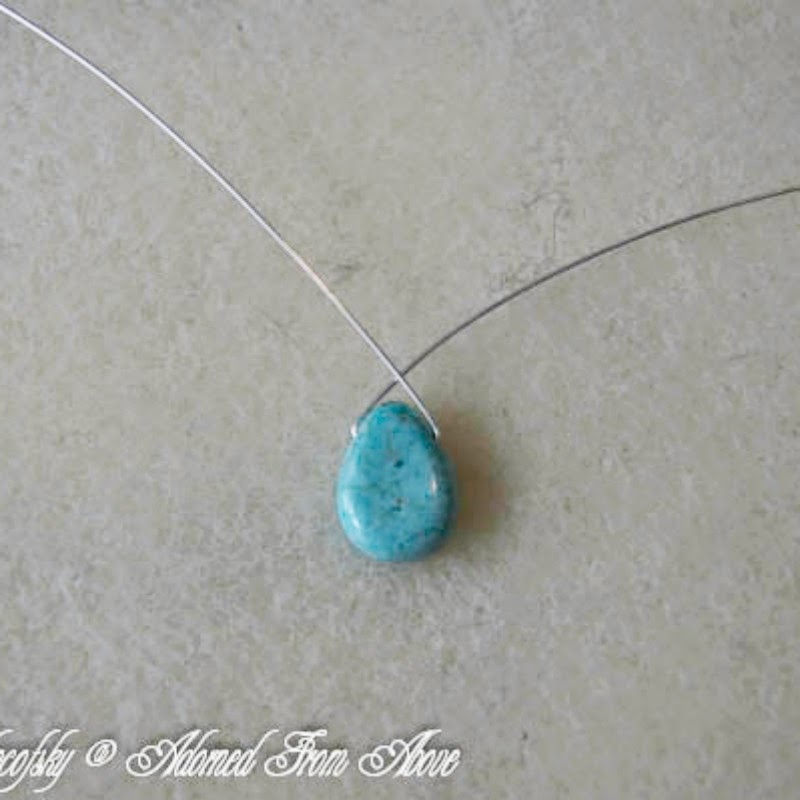 You will then bend the 4 inch piece of wire to a 45 degree angle from the top of the stone. Bend the long piece of wire straight up. 5. 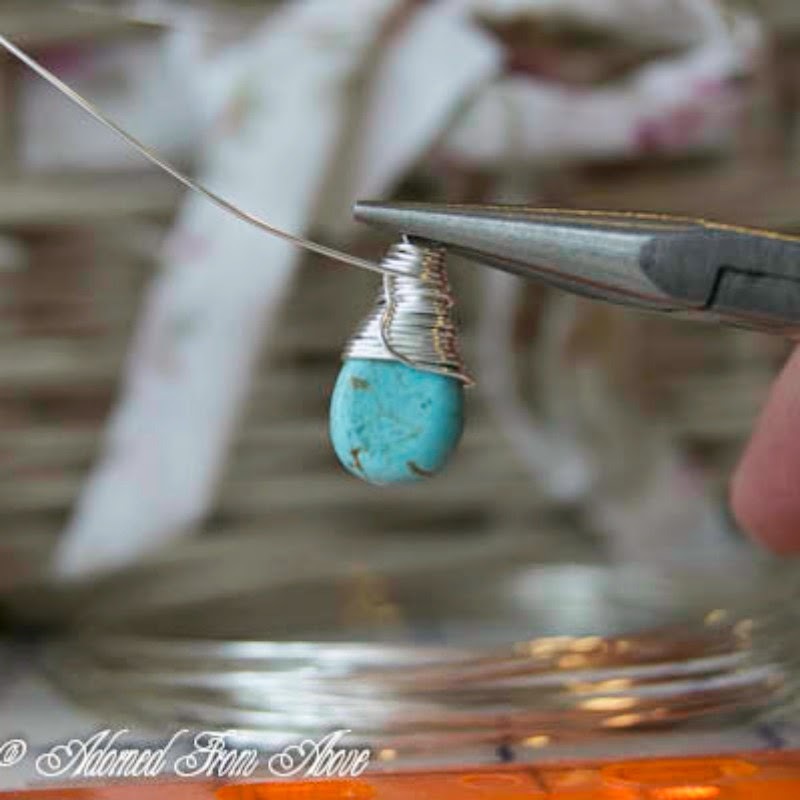 Using your finger on the 4 inch piece of wire, bend the wire around the top of the needle nose pliers and then turn the pliers and bend the wire towards the bottom of the pliers. Next, bend the wire to the left. 6. You will then start wrapping the wire around the two wires 3 to 4 times. Cut the end piece. 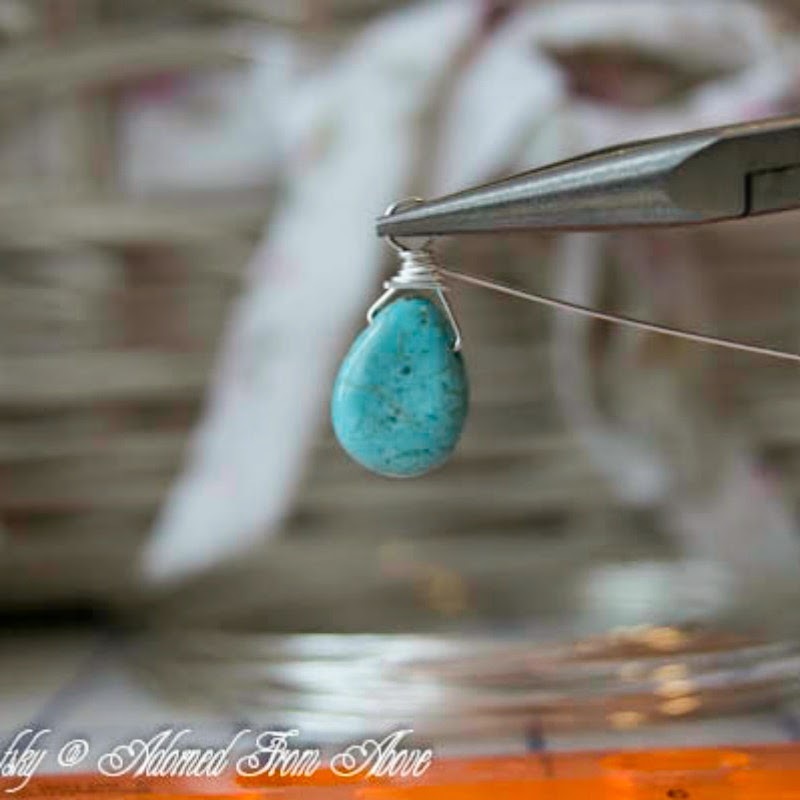 you have now made the loop at the top of the stone to attach the ear wire to. 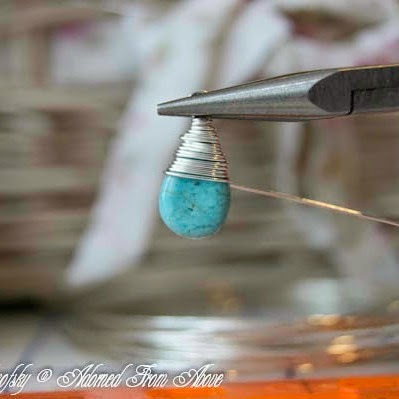 7. next you will start wrapping the long wire over the part of the wire that you have already wrapped, but you will continue wrapping the wire around the stone, until you have gotten below where the wire comes out of the holes in the stone. Make sure that you are keeping the wraps very close together. 8. 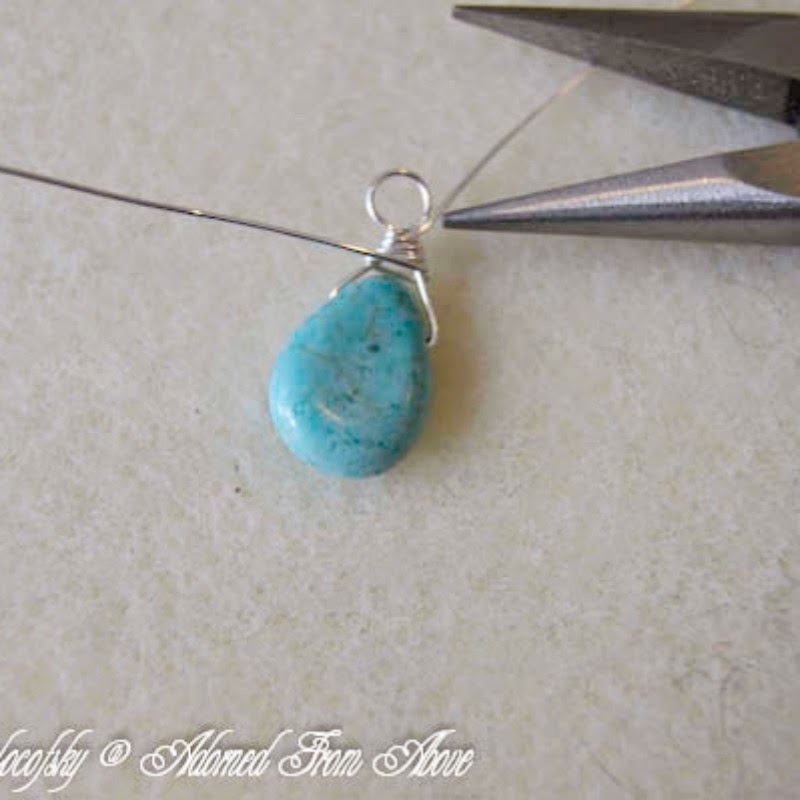 You will then bring the piece of wire along the back of the stone up to the bottom of the loop. You will then wrap the wire around the bottom of the loop, and then wrap it several times around the top of the already wrapped wires. 9. Then cut the extra piece of wire off. 10. 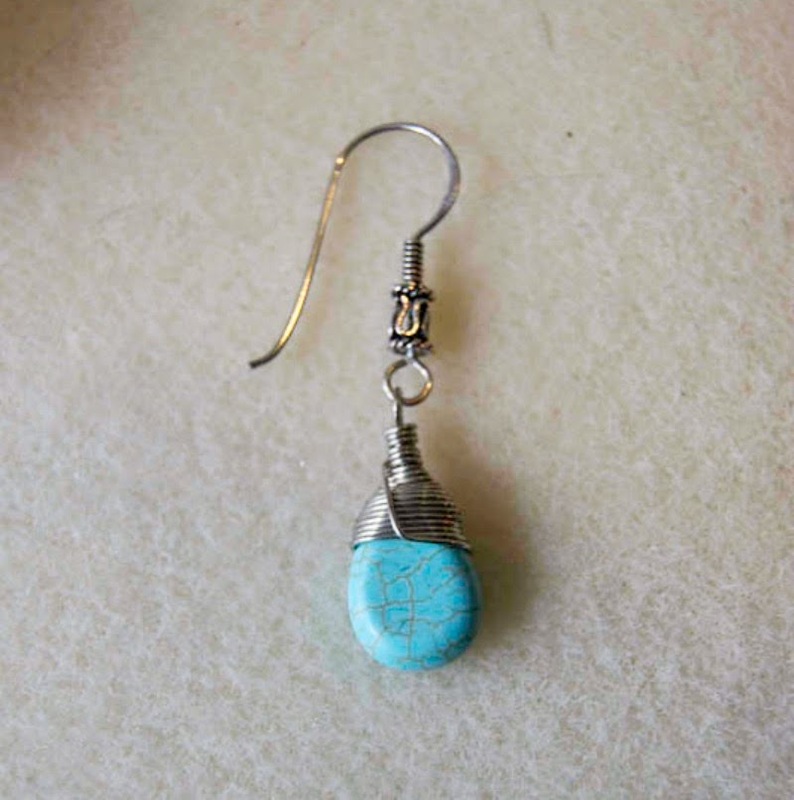 You will then need to use your pliers to open the bottom of the ear wire and slip the stone onto the ear wire and close the loop on the ear wire. 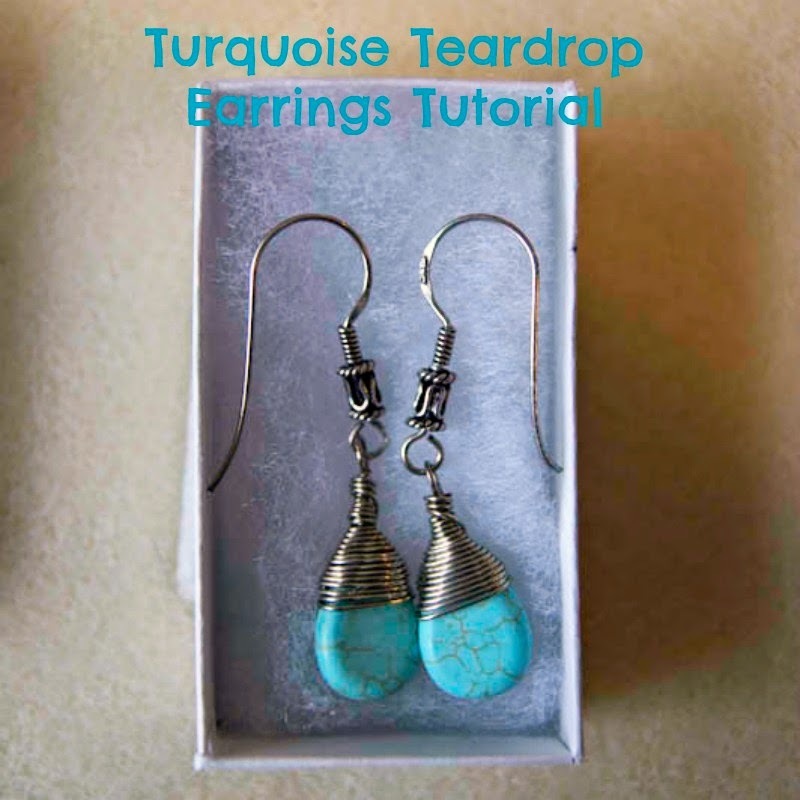 Repeat this process for the second ear ring. If you have any questions please feel free to contact me. I always love hearing from you. This is my own post and tutorial. I am not being compensated for it. I will receive compensation if you enroll in one of Craftsy's classes. 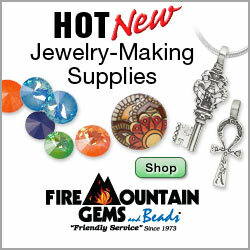 You can also get all of your supplies from Fire Mountain Gems. Wow! You made those!? They are beautiful! 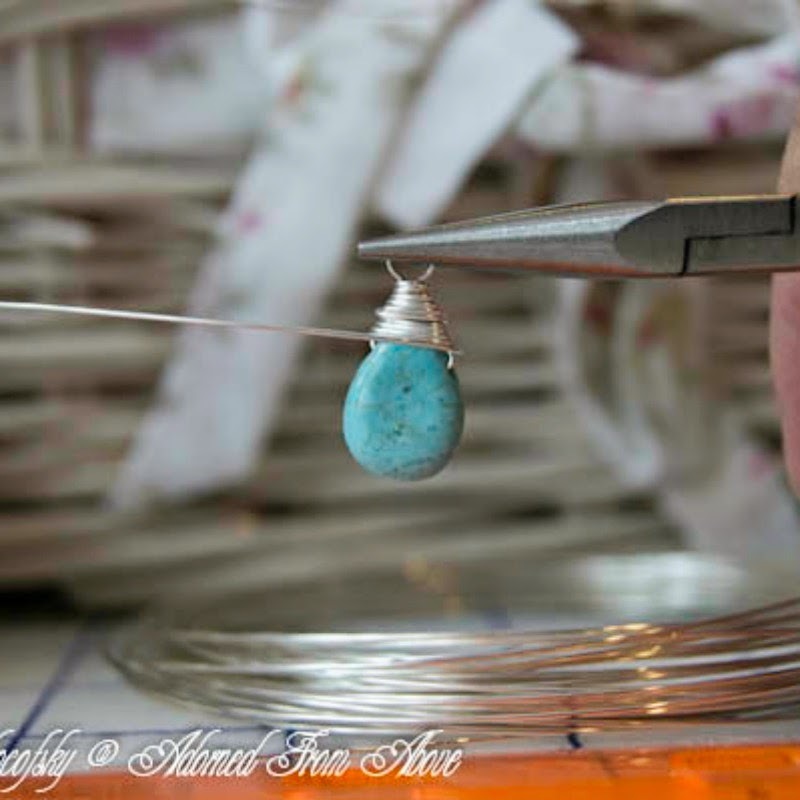 I tried working with jewelry wire once and it was not for me! Looking forward to seeing the crystal ones! 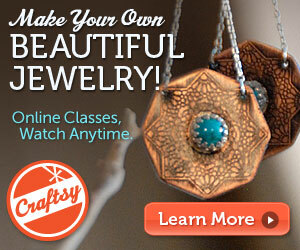 The classes on Craftsy are really detailed, and they have free ones to start with. That's what I did in the beginning. I have done beads for years, but nothing with wire before the last year. I kind of got hooked, because they are not real hard to do. I just finished getting everything for Mother's Day and my birthday to do the metal smithing class. 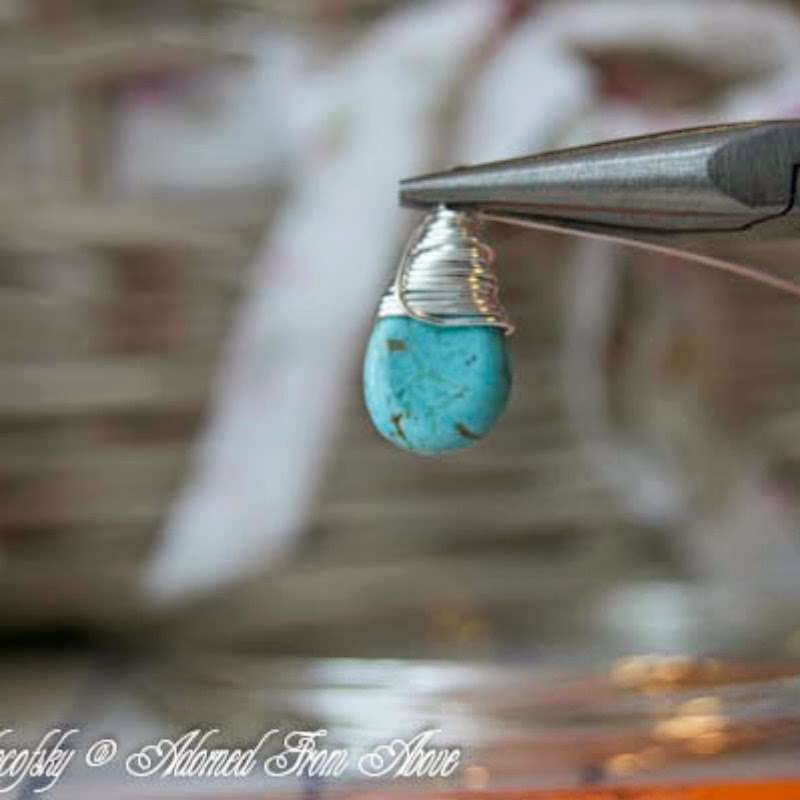 I wanted to learn how to saulder jewelry. Hopefully I will be able to get started on some of that next week. At least a few simple rings. Thanks so much for stopping by.